Northern Machine Tools are one of Britain's largest machine tool merchants, Boasting extensive showroom and workshop facilities in both Middlesbrough and Stockton, extending to over 50,000 square feet, NMT hold an extensive stock of industrial machines including lathes, vertical and horizontal boring machines, drilling and sawing machines of every type and description. 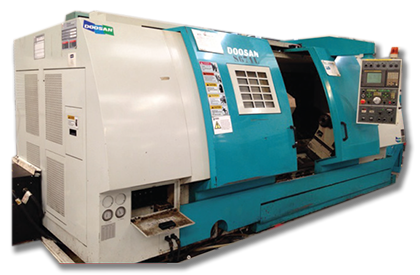 We additionally keep a good selection of general purpose milling, pressing and fabricating machines. As one of the UK's oldest machine tool engineering firms founded back in 1958 we believe that the company's resolute commitment? to family values is the key to its ongoing success. We have been dealing with customers from the UK, Europe and the rest of the world for more than 50 years and with our honesty and integrity we have developed long term customer relationships, some who have been coming back to us for more than 20 years. Whatever your machine tool needs we are always happy to welcome customers here to our Middlesbrough works, where we have hundreds of machines in group stock at any time, Our Stockton facility has excellent transport links and an impressive lift capacity of 80 tons.